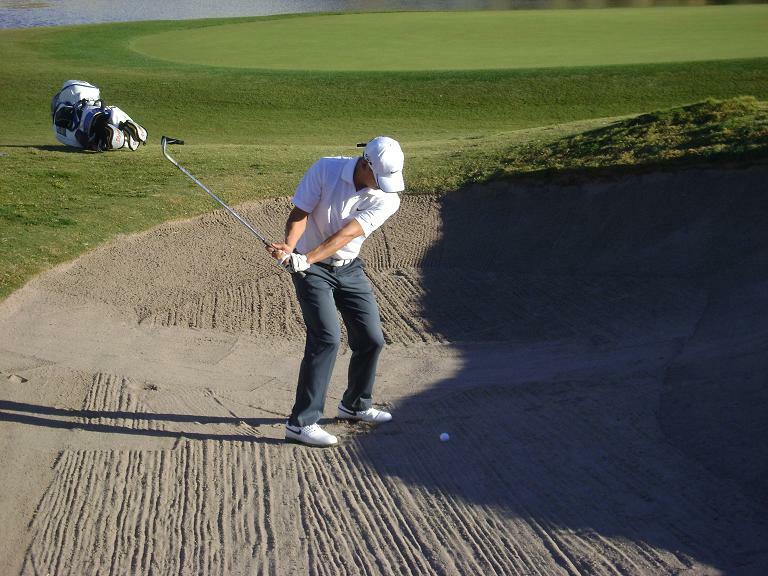 De La Hoya after missing the green from the bunker: “This is like a 12 round fight”. Maria Menounous interviewing Justin Timberlake where she offered to put him in a headlock…seriously. 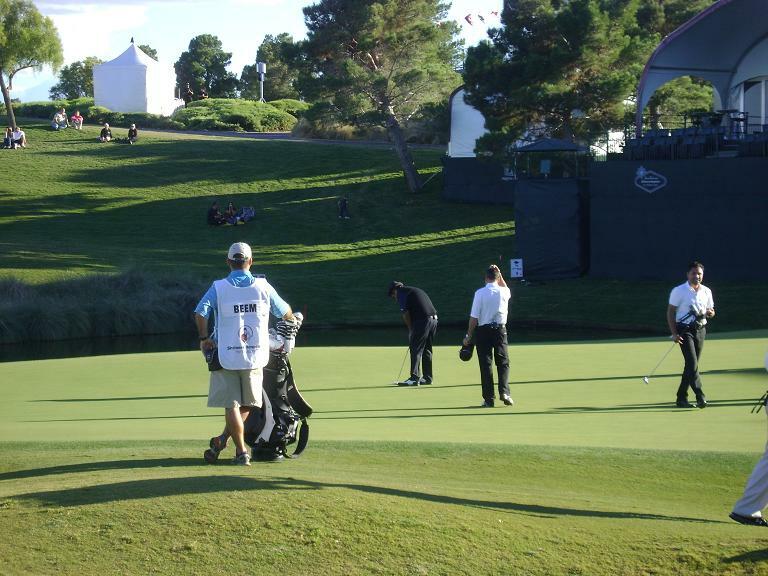 This week marks the annual fall PGA Tour event here in Las Vegas at the famed TPC Summerlin Golf Course. 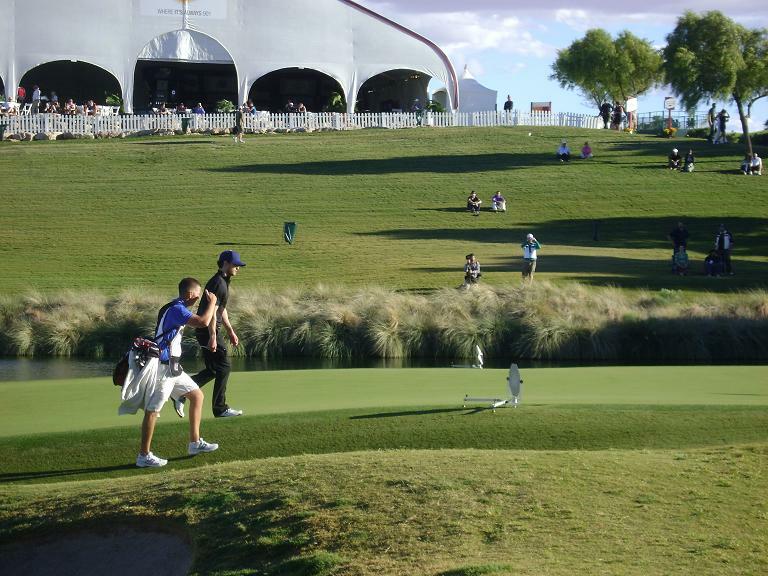 The Justin Timberlake Shriners Hospitals for Children Open enters it second year and looks to be bigger and better than last year. The events kicked off on Sunday with a free youth clinic that was put on by Justin Timberlake, Greg Maddux and famed swing coach, Butch Harmon. Timberlake has a 6 handicap, so I’m sure this would be a great tandem to get pointers from. On Monday, Mayor of Las Vegas Oscar Goodman will present the “Key to the City” to the Shriners. Monday will also be the first day for practice rounds. Tuesday, there will be a press conference with Justin Timberlake and a pairings party for the Celebrity Pro-Am in the evening. Wednesday, starting early at 6 a.m. will be the Celebrity Pro-Am tournament. The Pro-Am will feature Justin Timberlake, Alice Cooper, Kenny G., Daniel Negreanu, Phil Helmuth & Natalie Gulbis among others. I look forward to seeing Kenny G. in action…seriously…his handicap is a .6! Maniac. Thursday thru Sunday are the professional tournament rounds with Justin Timberlake presenting the trophy to the winner on the 18th green Sunday afternoon. They have a great field this year with big names such as Rocco Mediate, Anthony Kim, Jim Furyk, Hunter Mahan, Rory Sabbatini, Davis Love III, David Duval, David Toms and Nick Watney plus many many more. Saturday night at Mandalay Bay is Justin Timberlake and Friends Concert Benefiting Shriners Hospitals for Children. Artists scheduled to perform are Alicia Keys, Taylor Swift, Snoop, Ciara, TLC and of course host, Justin Timberlake. This weeks looks to be an exciting one to be in Las Vegas. Anyone in town attending the World Blog Expo is encouraged to attend at least the Celebrity Pro-Am on Wednesday as it promises to be a good time. I know I will be on the course on Wednesday and Saturday, rocking my Thunder Treats t-shirt. 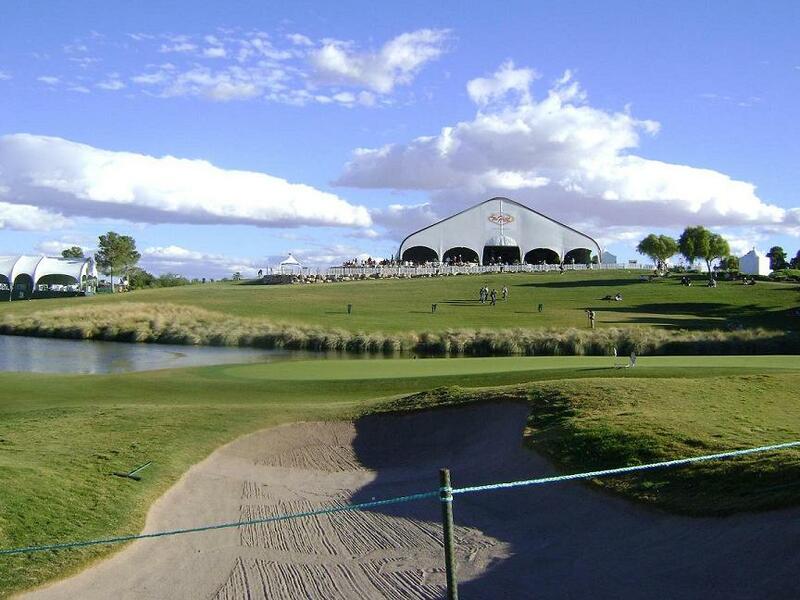 You will probably be able to find me on “The Hill”, the 22,000 square foot elevated tent that overlooks the 16th, 17th and 18th holes. There are plenty of plasmas to keep up with the action on the course as well as the college football games on Saturday. If you can make it out to the course, keep your eyes peeled for the Thunder Treats tee and come and say hi. I hope everyone that is able takes advantage of this great tournament benefiting these great hospitals. It’s a great cause and Thunder Treats fully supports it. See ya on the links. You are currently browsing the archives for the Justin Timberlake Shriners Open category.